A clean implementation of a common lettering style found on technical drawings, engraved office signs, computer and typewriter keyboards, and some comic books and avionics from the mid-20th century. It’s ugly, and therein lies its beauty. I created this font by purchasing a Leroy Lettering set, using Inkscape to trace the scanned letterforms of one of its templates, and some FontForge Python scripting. Other keywords I want people to use to find this font include: Wrico. 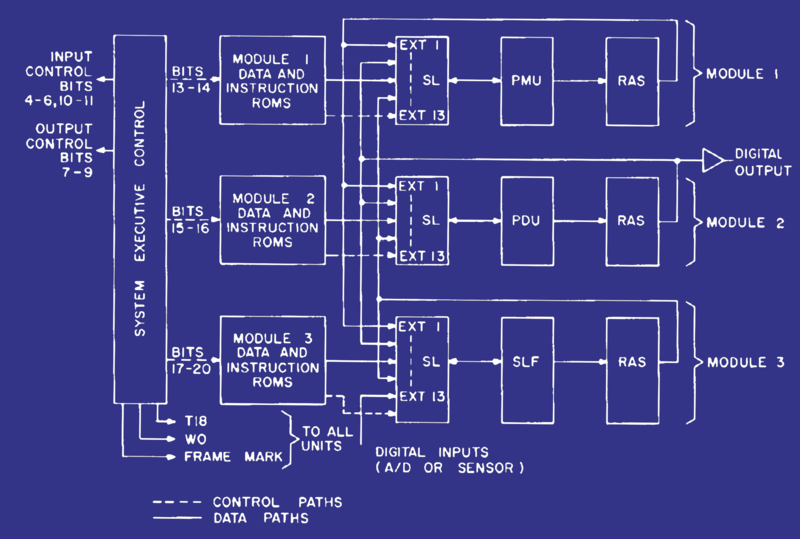 Early 1970s avionics diagram, based on an image stolen from this StackOverflow question, an answer to which mentions this font! The “italic” fonts of this typeface are literally slanted 22.5°, as a drafter would do. The “half italic” fonts of this typeface are slanted 11.25°, as seen in a small number of vintage drawings. There are no hints, as I originally created this font for a project intended to be printed at a sufficiently high resolution to obviate them. I might make hints later though. Routed Gothic is now distributed under the terms of the SIL Open Font License 1.1. Every ASCII character, ISO Latin 1, much of Unicode’s General Punctuation block for common typographic symbols, and then some. National Park — Based on engraved National Park signage. Planscribe NF — A similarly clean font with tighter kerning. Sublime — A slightly distressed font, to recall comic book lettering. Gorton — There’s an actual italic! Gorton Digital — drdnar’s implementation. Free for non-commercial use. Based on Gorton engraving machine templates, providing some differences from the Leroy templates. Gotham Rounded — One of the samples shows a schematic blueprint looking drawing that sells it very well. Proxima Soft — A rounded version of Proxima Nova, a Gotham lookalike. DIN 17 SB — A rounded DIN font. DIN 17 / TGL 0-17 and DIN 16 / TGL 0-16 — Italic and upright versions of the medium ISO 3098/1 (DIN 6776) font. United States Military Standard 33558, Numerals and Letters, Aircraft Instrument Dial, Standard Form of — It’s the font you’ve seen on old aircraft instruments. Implementation by Derek Higgs archived here.